February 15, 2014 | Lens cap....off! I took a lot of pictures tonight. I had to–my best friend is moving back to California in the next couple of days, and who knows how soon I’ll get to see her again. It was our last night together. So, point and click. Click click click, and click some more at her kids. Her wonderful, crazy, beautiful kids. I love them like they are my own. And my kids are going to miss my best friend and her wonderful, crazy beautiful kids because they are all great friends. Just like their moms. I captured the essence of my best friendship, but not with my best friend. I did it accidentally, not having any idea that I did it. Only after sitting down with my best friend and going through the pictures did I see it. And we both latched on to this particular picture, but for different reasons. In our girls, I see us. 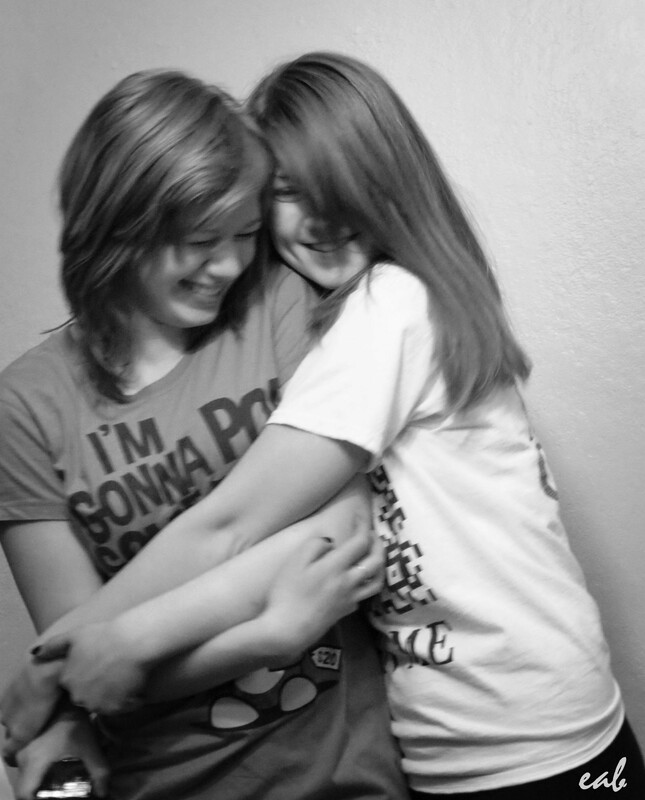 I see the pure joy of being a friend, the unabashed delight of being yourself around someone who gets you. And the someone who gets all of your own wonderful, crazy, beautiful bits. Day 46, pass the tissues. Sweet. I am sure you will see each other often!